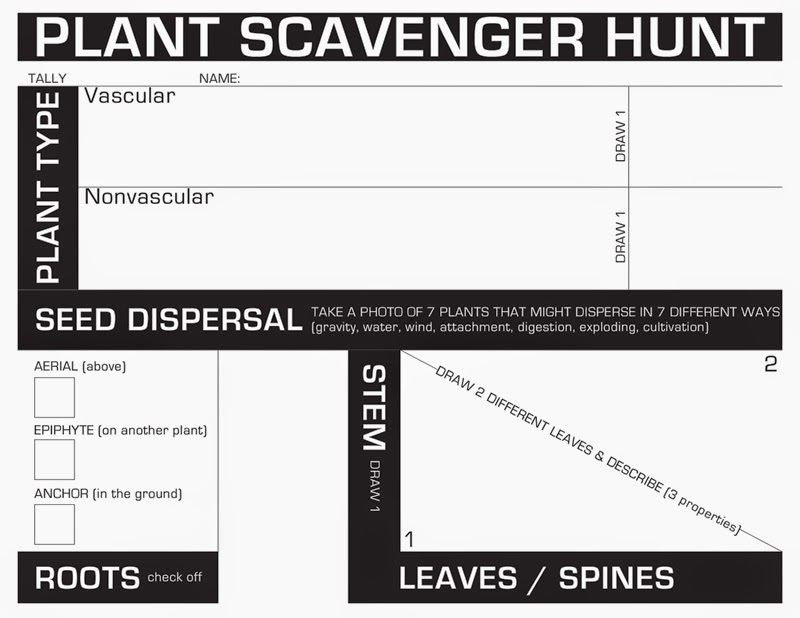 Take students outside for a plant scavenger hunt! Click here to download. Students tally how many vascular and nonvascular plants they find. Then they draw an example of each. Throughout their walk, they take photos of different plants that they believe represent 7 different types of seed dispersal. They check off different types of roots they come across based on their knowledge of plants. They draw an example of a stem they investigated. Then they draw 2 different leaves and describe the leaves' properties (color, size, texture).